300 Hikers. $40,000. Thank You. It was a beautiful Spring day on Sunday, May 6th when Oak Ridges Hospice of Durham Ltd. held its first annual Hike for Hospice Palliative Care at the Port Perry Fairgrounds. 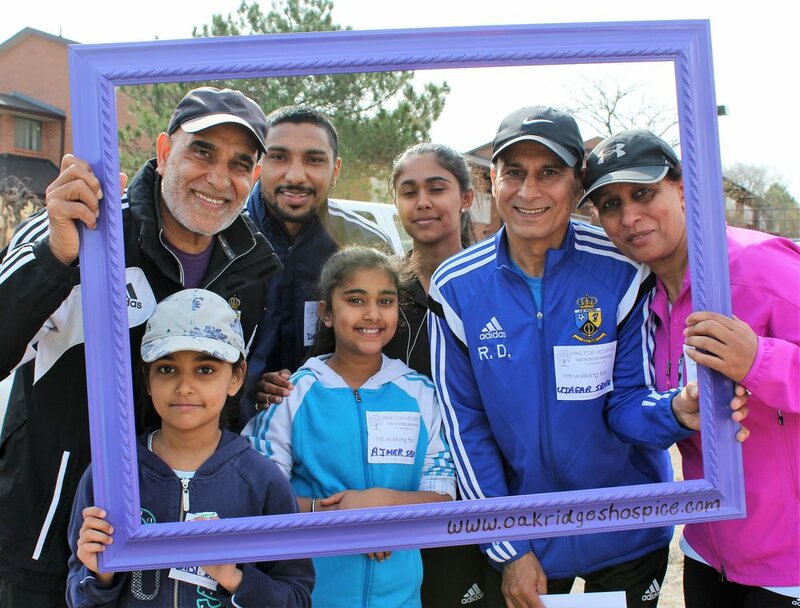 There were 300 hikers registered and they raised a staggering $40,000 for the ‘Building for Compassionate Care’ capital campaign to bring a residential hospice to Durham Region. We were delighted to have key benefactors Kevin Morgan and Dave Sidhu join us with their families and friends. The event kicked off with speeches from Dr. Steven Russell, Board Chair; Granville Anderson, MPP; Erin O’Toole, MP; and Tom Rowett, Mayor of Scugog Township. ‘Oyez, oyez, oyez' could be heard far and wide when Town Crier Bill McKee announced the start to the 1, 3 and 5km hike routes around Port Perry. Kids were kept entertained with face painting and a fire truck, and everyone enjoyed the delicious barbeque that followed the hike. The outstanding community spirit was really captured in the photos shown below, courtesy of photographer extraordinaire, Aly Miller. To Our Many Dedicated Volunteers And To All Of You Who Helped Make It Such A Tremendous Success!